In November 2004, when LACH DIAMANT was awarded the Hessian Innovation Prize for a newly developed technology for the cost and time efficient machining of aluminium components with a monoblock diamond cutter »dia-compact«, it was already said "Nothing is more efficient than this...". However, there was still something more efficient – as proven by the development of »Cool Injection-Plus», cooling directly via the PCD cutting insert. Today, maximum tool life, extremely high cutting results and feed rates are taken for granted by leading automotive manufacturers and suppliers due to the use of LACH DIAMANT&apos;s monoblock milling cutters. In addition, perfect surface quality and part accuracy have been achieved – followed by reductions of cycle time by 50% and more. 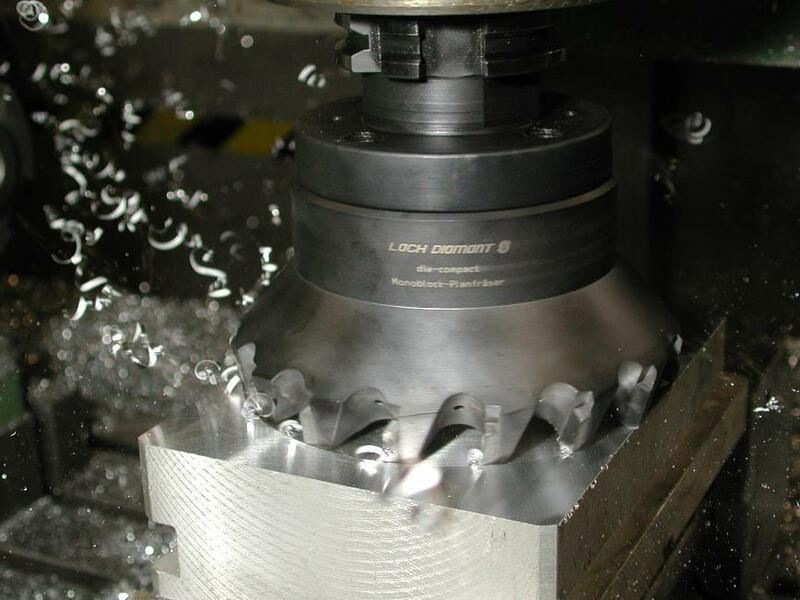 The PCD monoblock milling cutter by LACH DIAMANT is completely mounted and balanced, delivered with an adapter of your choice and it can be immediately used on a machine, without adjustments.